Hey Tech Vendors: Smartphones Are Eating Your Supper | Alan Wolf: As smartphones get more powerful, more useful, and more ubiquitous, they’re also eating into other tech categories’ sales. Consumers are more likely to drop their hard-earned dollars on one product that does a lot rather than several products that maybe only do one or two tasks well. 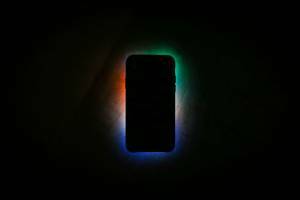 2019’s Android phones make up for last year’s sad iPhone knockoffs | Jared Newman: Earlier predictions were correct- 2019 is the year that phone manufacturers are getting experimental. At this year’s Mobile World Congress in Barcelona, everything from foldable phones to hole-punches for camera space, to 5G capabilities were on display. New Looks for Kitchen and Bath Faucets in 2019 | Erin Carlyle: Consumers who enjoy mixing and matching are in luck. One of the trends spotted recently at the Kitchen & Bath Industry Show was faucets that mix different colors and finishes on a single product. Pro stylings and matte black and brushed gold are also making inroads into kitchen and bathroom faucets. If articles like these have whetted your appetite for more consumer durables industry news, follow @TraQline on Twitter and The Stevenson Company on LinkedIn! See an article you think we should feature in our weekly roundup? Let us know by tweeting us and tag it with #TraQingNews. Need to catch up with past #TraQing News posts? You can find all of our posts here. Want to get these articles emailed to you? Sign up here!